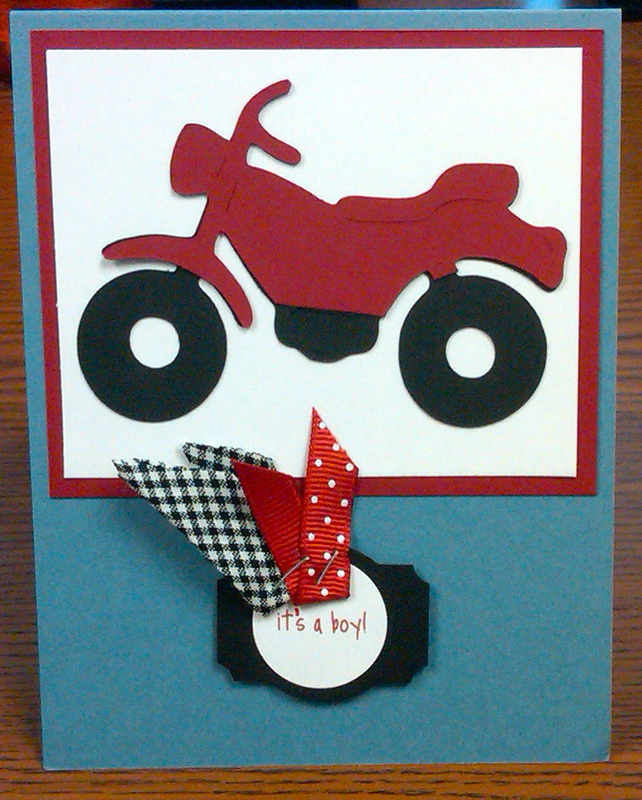 for a couple who love to ride motorcycles. theme, so I used my beloved Cricut! I made little Cricut motorcycles and used SU! paper. 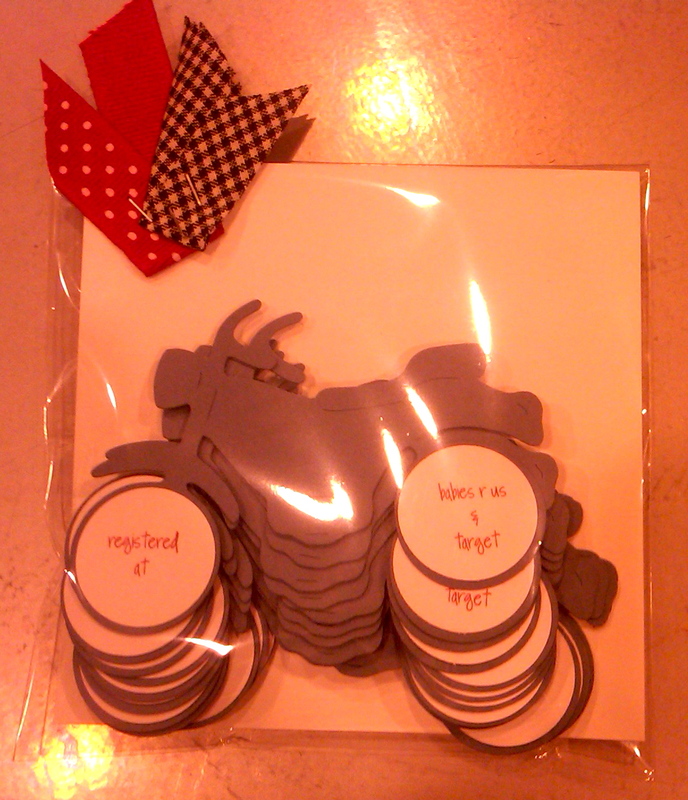 Then, I made motorcycle registry cards to slip inside.